Did you know… that India is experiencing a co-living boom? 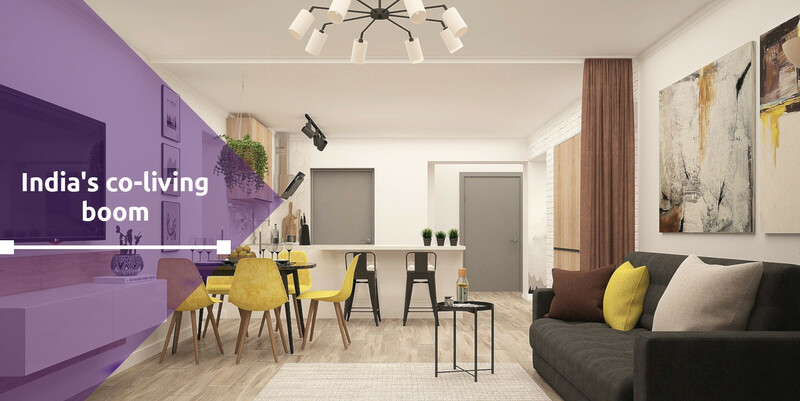 Another popular aspect of the “sharing economy”, co-living consists of a housing situation where two or more people share living, dining and bathroom spaces. While it may seem the same as a London flat share, co-living spaces tend to come equipped with top-quality furnishings, bills and cleaning (among other services) built in to the price. Some even go so far as to include meals! For India in particular, the rise in digitalisation has helped to bring a sense of organisation to the housing market. With many living spaces now managed through apps, residents are able to pay rent and request repairs via mobile. Similarly, those renting out their spaces can do so via the apps. As the sharing economy increases (co-working spaces, ride-sharing apps, freelancing, etc. ), cities are seeing a rise in residents. Logically, this also creates a greater need for housing. As the cost of city living continues to rise, people are on the hunt for affordable housing. With the global trend of millennials shying away from home-ownership, co-living has been the natural answer. And with this age bracket comprising 30% of the country's population, investors as far away as New York are helping to fund start-ups in several cities across the country, with the sector experiencing a 110% rise in supply in 2018. As of February 2019, Bangalore hosts the largest number of “big name” co-living space operators in the country, including CoLive, Zolo Stays and Oyo Living. With an expected value of more than $2 billion by 2022, the sector poses myriad opportunities for companies and investors alike. A different kind of New Year celebration!